Churches across our denomination are beginning to rethink how we “do church.” In particular, that question prompts us to consider how and why it is important to engage our community. We are beginning to realize it is not enough to focus all of our attention inward but to make disciples requires us to look outward as well. 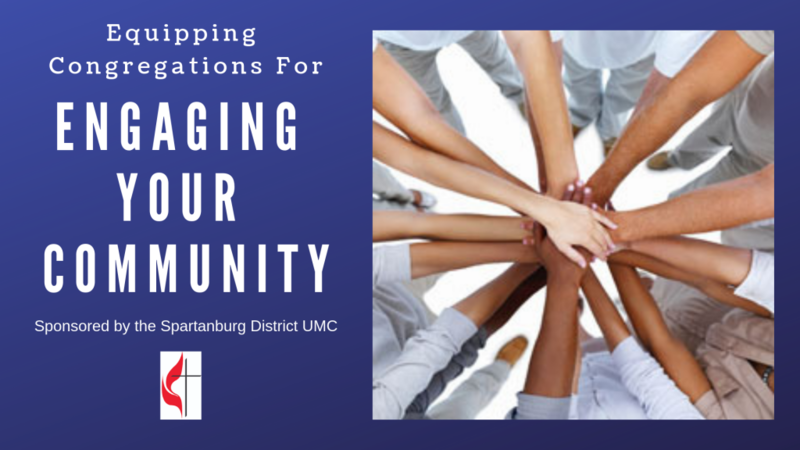 The Spartanburg District is proud to offer a day of training designed to offer church leaders insight into how to more effectively engage their community. “Equipping Congregations for Engaging Your Community” will take place from 10 a.m. to 2 p.m. Saturday, April 13, at New Beginnings UMC, in Boiling Springs, SC. Check-in begins at 9:30 a.m.
Online registration is required and the cost for the event is $10 per person, which includes lunch from Chick-fil-A.